MONTREAL – Montreal Canadiens general manager Marc Bergevin announced on Friday that the team has agreed to terms on a one-year contract (2015-16) with free agent forward Alexander Semin. 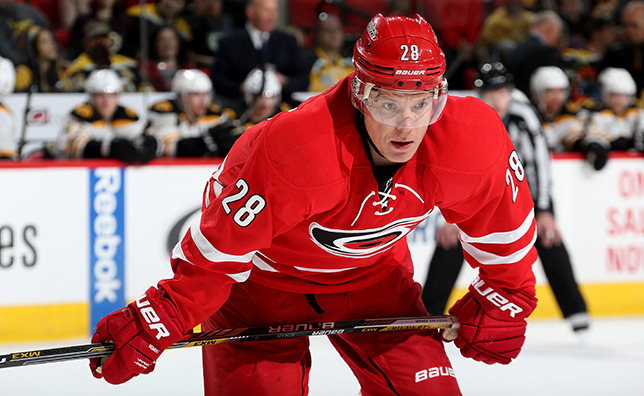 “We are very pleased to have reached a short term agreement with Alexander Semin. Alex is a pure goal scorer with a good shot. We believe his addition to our group of forwards will strengthen our offensive production and our power play. A veteran winger with size, Semin has reached the 20-goal plateau seven times since the beginning of his NHL career 12 years ago. His signing represents a great opportunity for the organization and for Alex’s career,” said general manager Marc Bergevin. Semin, 31, played 57 games with the Carolina Hurricanes in 2014-15, recording 19 points (6 goals, 13 assists). The 6'02’’, 209 lbs right winger served 32 penalty minutes and averaged 15:55 of ice time per game. Since making his professional debut with the Washington Capitals in 2003-04, Semin has played 635 regular season games, contributing 513 points (238 goals, 275 assists). He has scored 65 goals on the power play, four while shorthanded and totals 32 winning tallies. He has seven 20+ goal seasons, including three with 30 goals or more, including a career-high of 40 in 2009-10 with Washington. In 10 full seasons in the NHL, he has a +70 plus/minus differential and has served 570 penalty minutes. Semin added 34 points (15 goals, 19 assists) in 51 career playoff contests in the NHL. Five of his goals came on the powerplay and four were game-winning tallies. Semin suited up for Russia on the international stage at the 2010 Winter Olympics in Vancouver, at the 2004 World Junior Championship in Finland, and at five World Championships (2003, 2005, 2006, 2008 and 2010). A native of Krasnojarsk, Russia, Semin was selected in the first round, 13th overall by Washington at the 2002 NHL Entry Draft.